Zero Plates available for both Certified Coated Metal Plates and Certified Polystyrene Blocks. Select the Standard that most closely matches the measuring range of your gage. 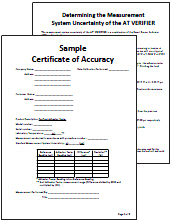 All certified standards are supplied with a Certificate of Calibration traceable to NIST or PTB. Non-Certified Plastic Shims (foils) provide a quick operational check of the instrument and they allow the user to perform practice measurements when placed over metal. Alternatively, they can be placed over an uncoated metal substrate. They are not suitable for use with magnetic pull-off gages. Note: While DeFelsko inspects non-certified plastic shims to ensure they are within the nominal stated accuracy, they are not traceable to any national or international standard. Zero Plates are available as uncoated precision machined steel or aluminum (6061-T6) in a variety of plate sizes. Coated Metal Standards for magnetic and eddy current gages usually include an uncoated zero plate. The first gage measurement is taken on the zero plate to verify that the gage measures zero correctly. If not, electronic gages can usually be adjusted to "0" on the zero plate. After this adjustment is performed, the gage should measure within tolerance on the coated standards. A zero plate provides a convenient base onto which plastic shims and polystyrene blocks can be placed for verification purposes. Check zero, adjust to "0" if necessary, then place the shim/block on the zero plate and measure. Zero plates can be used to provide a substrate where none exists. Large sheets of material such as paper, plastic, fabric and rubber can be measured with a coating thickness gage by placing the material over the zero plate. This is useful when the measured item is too large to access with a micrometer or other device. For example the screen printing industry uses zero plates to measure the thickness of a the "substrate" being printed. What is the purpose of Standards? Certified thickness Standards are used to verify the accuracy and operation of coating thickness gages and are an important component in fulfilling both ISO/QS-9000 and in-house quality control requirements. 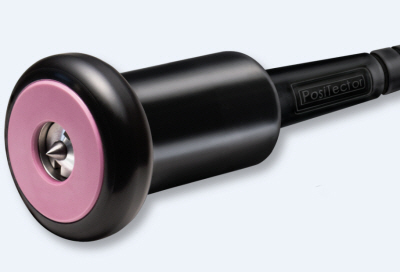 Contracts often specify that coating thickness measurements be taken by gages whose measurement accuracy is traceable to a National Metrology Institute such as NIST or PTB. 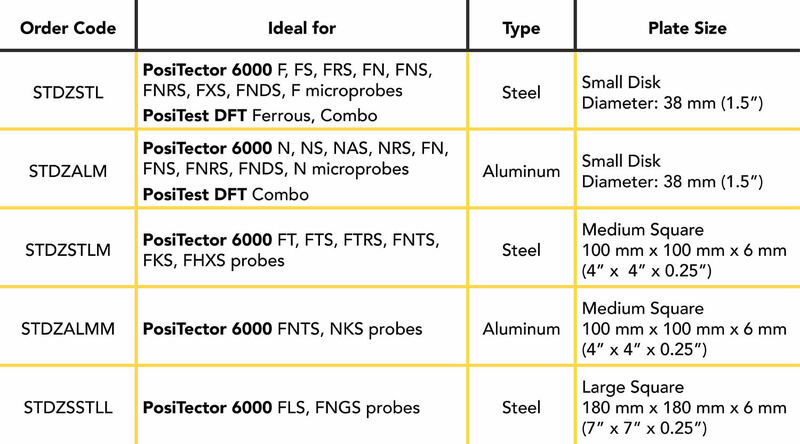 Standards are typically purchased as an accessory to DeFelsko coating thickness gages. Many customers find it more practical to verify the accuracy of their own gages in-house, rather than utilize DeFelsko’s calibration services. This is particularly true when many gages are in use and/or when accuracy verification is performed often. How do I select the appropriate product? Certified Coated Metal Plates are the best solution for verifying the calibration, accuracy and operation of most magnetic, eddy current or ultrasonic coating thickness gages including magnetic pull-off gages as well as many competitive models. 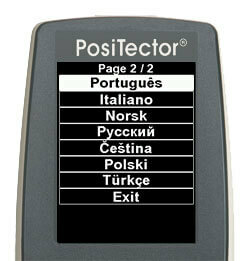 They fulfill both ISO and in-house quality control requirements. 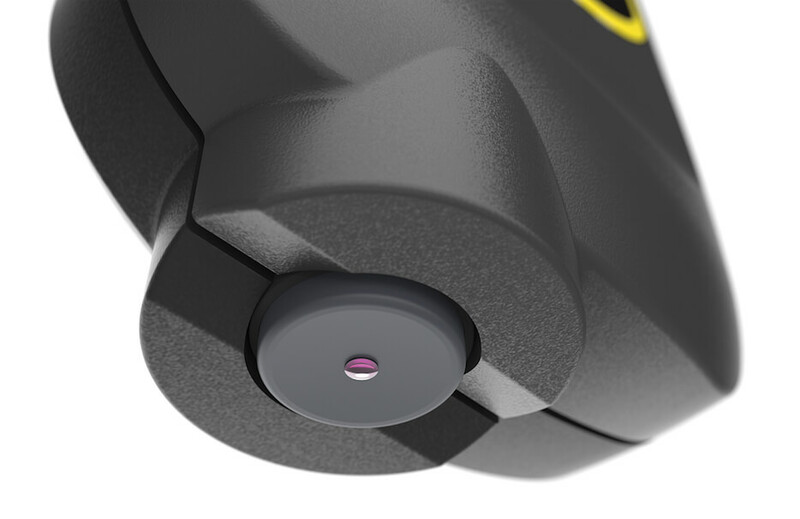 At ±0.43 µm Certified Coated Metal Plates are our most accurate solution. A durable epoxy coating over 1018 steel or 6061-T6 aluminum and protective binder ensures long life. 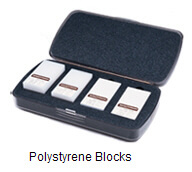 Certified Polystyrene Blocks are for use with gages that measure over 1500 µm (60 mils) with an accuracy of ±(2.5 µm + 0.05% of thickness) [±(0.1 mil + 0.05% of thickness)]. Certified Plastic Shims (foils) provide an economical alternative with a reduced accuracy of ±2 µm (±0.08 mil). 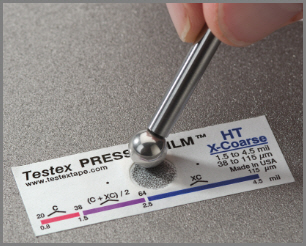 A coating thickness gage measures shim thickness when placed over a smooth metal surface (zero plate). Alternatively, they can be placed over the customer’s uncoated substrate. They are not suitable for use with magnetic pull-off gages. Non-Certified Plastic Shims (foils) provide a quick operational check of the instrument and they allow the user to perform practice measurements when placed over metal. 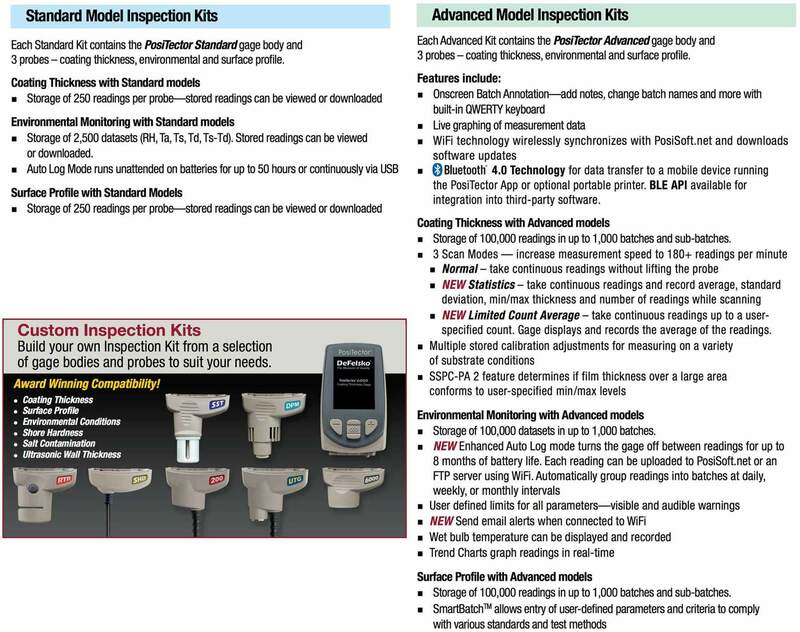 A set is included with most electronic DeFelsko coating thickness gages. They are not suitable for use with magnetic pull-off gages. Zero Plates are uncoated steel or aluminum disks. 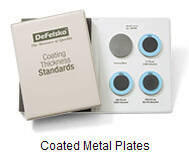 A zero plate is included with most coated metal sets. The first gage measurement is on a zero plate to verify that the gage measures zero correctly. Electronic gages can usually be adjusted to “0” if necessary. 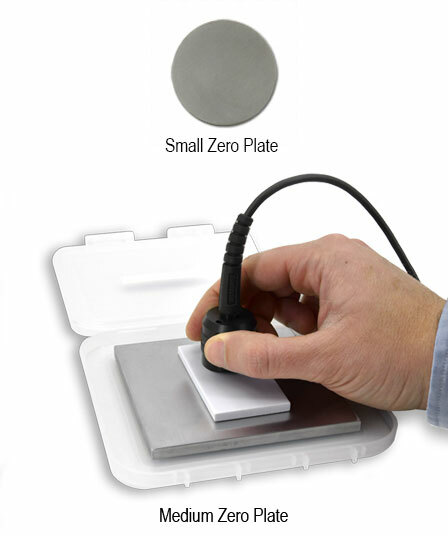 A zero plate is also a convenient base onto which a plastic shim or polystyrene block can be placed for measurement. How often should they be changed/replaced? Standards should be replaced when they become visibly worn or scratched. Why should I use certified coating thickness STANDARDS to verify the accuracy of my gage when I have plastic shims? they are not certified or traceable to any national body. their accuracy is far less than most of the gages being verified. 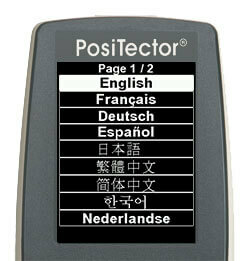 they cannot be used with Type 1 mechanical gages, such as our PosiTest FM or PosiPen. We include non-certified shims with our electronic gages to provide a quick verification of gage operation and allow the user to perform practice measurements when placed over metal. Can DeFelsko Standards be used with other manufacturer’s gages? Yes, our Standards may also be used with many competitive gages provided they operate on magnetic, eddy current, or ultrasonic principles. How do I select the appropriate set of Standards? 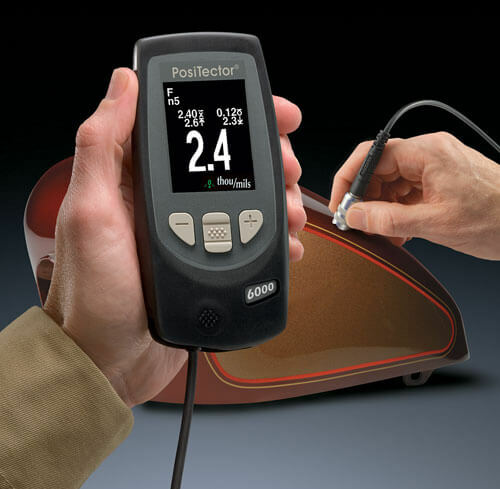 Certified Standards are used to verify the accuracy and operation of a coating thickness gage. Select the Standard that most closely matches the measuring range of your gage. See our Ordering Chart for assistance. Can Certified Coating Thickness Standards be recertified? In most instances, it will be more economical to trade-in Standards for a new set. Trade-in reduces the price of new Standards by 20%. Coated Metal Standards for magnetic and eddy current gages usually include an uncoated zero plate. The first gage measurement is taken on the zero plate to verify that the gage measures zero correctly. If not, electronic gages can usually be adjusted to "0" on the zero plate. After this adjustment in performed, the gage should measure within tolerance on the coated standards. Zero plates can be used to provide a substrate where non exists. Large sheets of material such as paper, plastic, fabric and rubber can be measured with a coating thickness gage by placing the material over the zero plate. This is useful when the measured item is too large to access with a micrometer or other device. For example, the screen printing industry uses zero plates to measure the thickness of the "substrate" being printed. 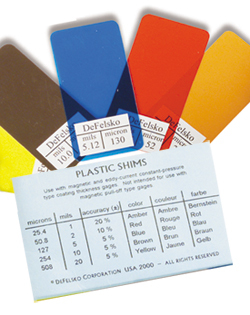 Shims, sometimes referred to as foils, are small, colored plastic strips of varying thicknesses between ~25 µm (1 mil) and ~1.5 mm (60 mils). They measure 3 x 8 cm (1 x 3 inches). Shims are commonly used to simulate a coating. For electronic magnetic and eddy-current gages, they are placed onto an uncoated piece of ferrous or non-ferrous metal, and then measured with the gage. Shims may be used individually or stacked to create additional thicknesses. Ultrasonic coating thickness gages can only measure one shim thickness at a time. The shim must be placed over a flat, rigid object such as a glass pane. The substrate material does not have to be the same material as the material being tested. What is the difference between CERTIFIED and NON-CERTIFIED plastic shims? Although they are made of the same material and cut to the same dimensions, there is a difference in accuracy, packaging and purpose. Neither is suitable for use with magnetic pull-off gages. Certified Plastic Shims (foils) provide an economical alternative to coated metal plate Standards with a reduced accuracy of ±2 µm (±0.08 mil). Gage performance can be conveniently verified in the field or in the lab on a regular basis as called for by some international test methods. Shims are placed over a smooth metal surface (zero plate) and a measurement taken. These strips of flat polyester can be used to adjust (optimize) a coating thickness gage in the intended range of use directly over the customer's uncoated substrate. Certified Plastic Shims are sold individually or as a complete set of eight. 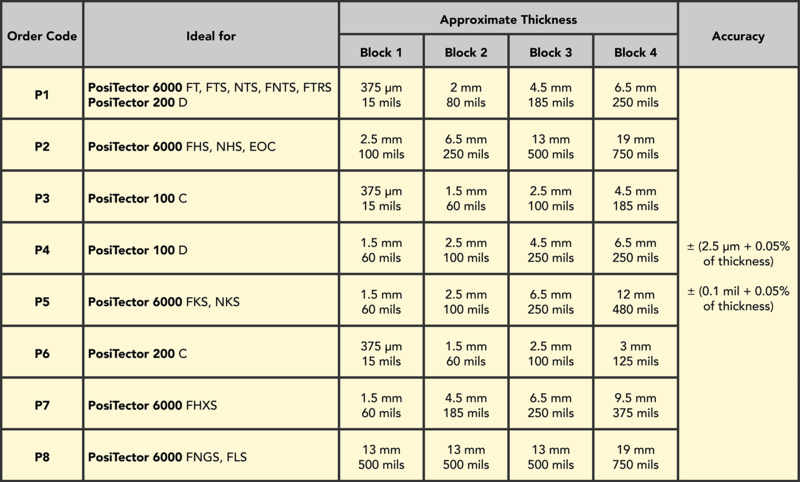 Each Certified Shim is individually serialized and labeled with its measured thickness (mils and microns) obtained with measurement equipment traceable to NIST. They are packaged in their own plastic protective pouch. One Certificate of Calibration showing traceability to NIST is included with each shim or set of shims. 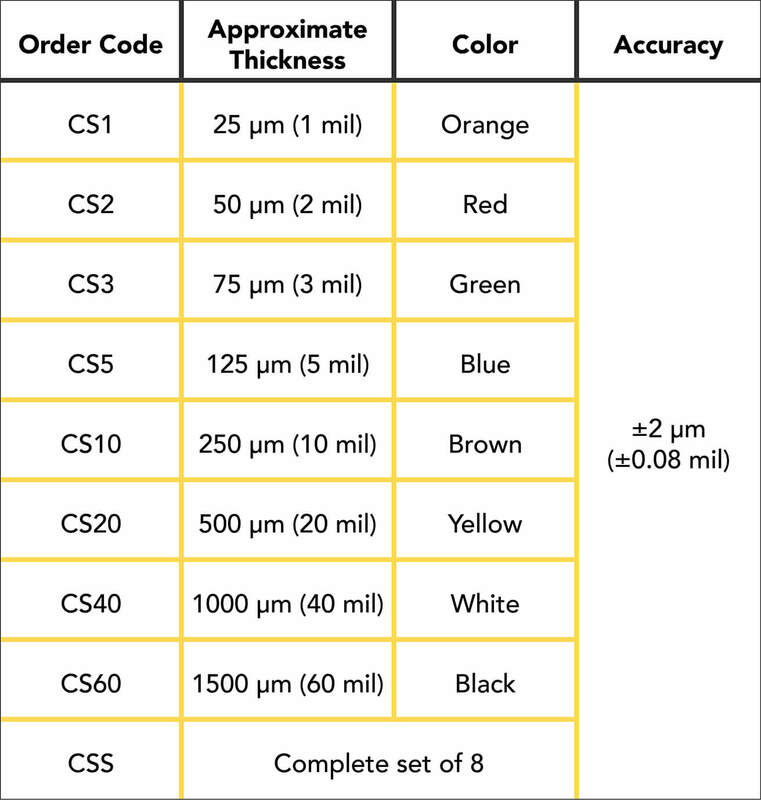 Their labeled thicknesses are accurate to within ±2 µm (±0.08 mils). They are for use with electronic magnetic, eddy-current and ultrasonic coating thickness gages. Non-Certified Plastic Shims (foils) are used to provide a quick verification of gage operation when placed over metal and they allow the user to perform practice measurements. Non-Certified Shims are sold as a set of five packaged in one cardboard envelope. 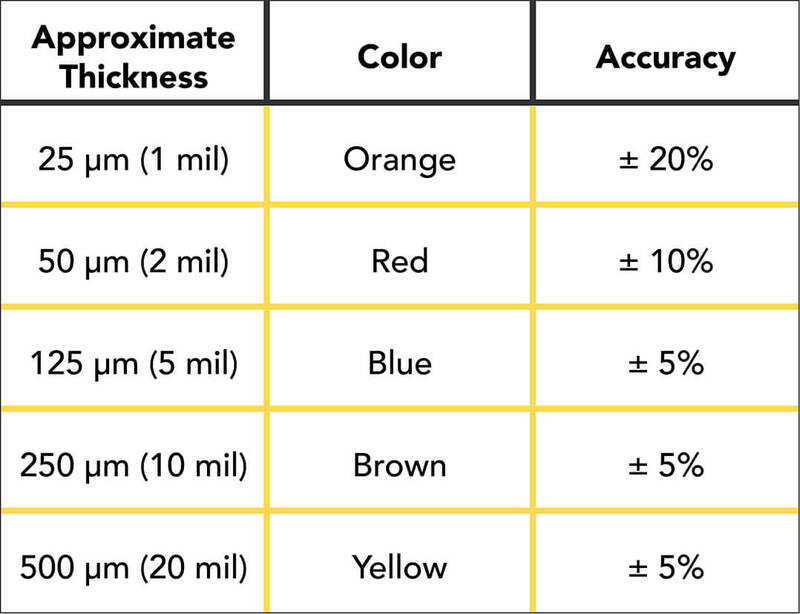 Their labeled thicknesses have accuracies ranging from ±5 to 20%. One set is included with most DeFelsko electronic coating thickness gages. They are for use with electronic magnetic, eddy-current and ultrasonic coating thickness gages. What are other purposes of CERTIFIED and NON-CERTIFIED plastic shims? Probe protection: Shims can be placed over rough or hot surfaces to protect the probe from physical damage. Coating thickness is obtained by subtracting the shim thickness from the total measurement of the shim and the coating. 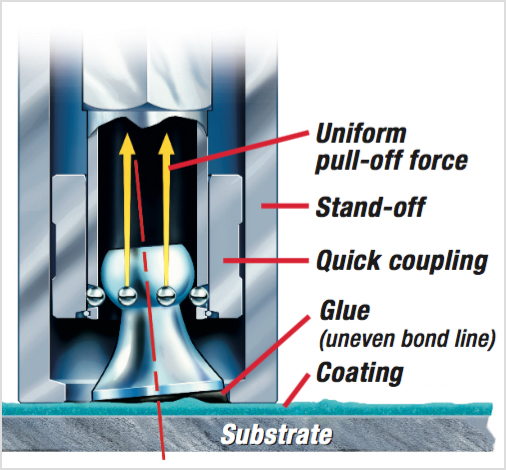 Force distribution: Shims can be placed over soft/tacky coatings to prevent the gage probe from depressing the coating film. Again coating thickness is obtained by subtracting the shim thickness from the total measurement of the shim and the coating. 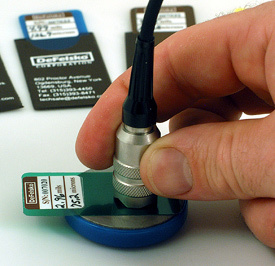 Rough surface calibration adjustment: Since gages are verified for accuracy using smooth-surfaced Standards (or using a smooth zero plate), a compensation value may be required if the substrate to be coated is different from the Standard or roughened from the manufacturing process (for example, castings) or from abrasive blast cleaning. This is known as a Base Metal Reading or BMR. 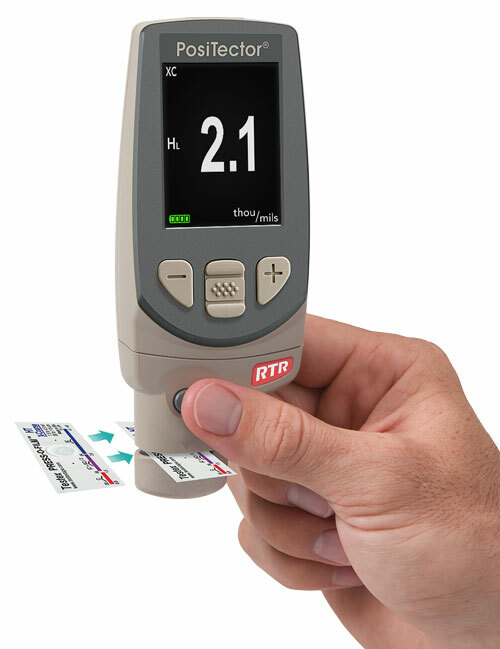 The BMR is the effect of substrate (for example, surface profile) on a coating thickness gage. 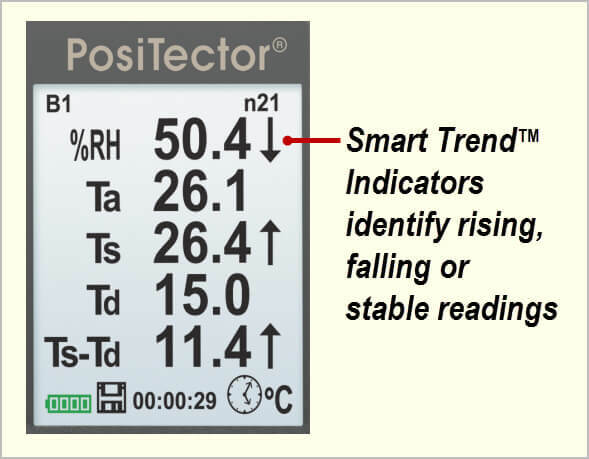 The user obtains several readings on the prepared, uncoated substrate. The arithmetic mean of these values becomes the Base Metal Reading. The BMR is deducted from the coating thickness values in order to report the thickness of the coating layer(s) over the surface profile. 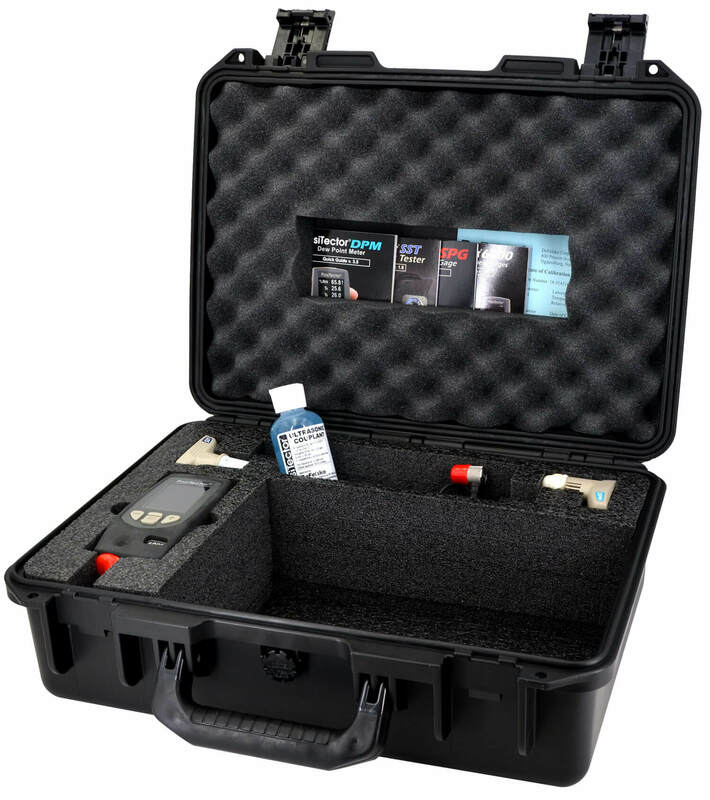 One-point calibration adjustment: A one-point adjustment involves fixing the gage’s calibration curve at one point after taking several readings on a single coating thickness Standard, shim or reference sample. Adjusting to zero on an uncoated sample of the test specimen is the simplest form of a one-point adjustment (see rough surface calibration adjustment above). If the user elects to perform a one-point adjustment procedure to a known thickness, a reference sample or shim representing the target range of gage use should be selected and a measurement taken. 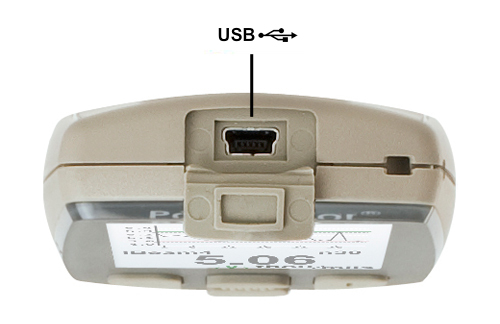 If the value displayed by the gage is within the combined accuracy of the shim and the stated gage accuracy, then no adjustment is necessary. 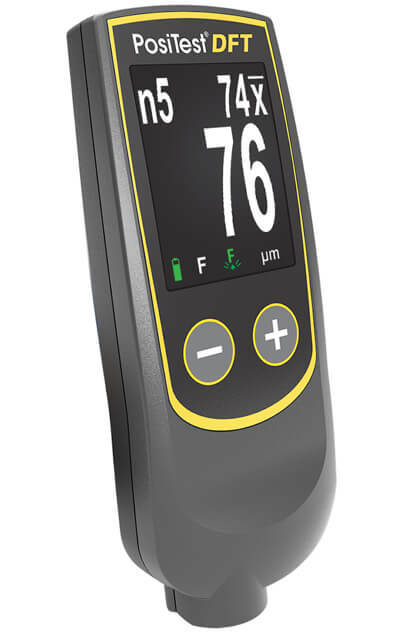 If the gage reading is outside the combined accuracy of the shim and the stated gage accuracy, then the user should carefully follow the gage's instructions for proper adjustment. 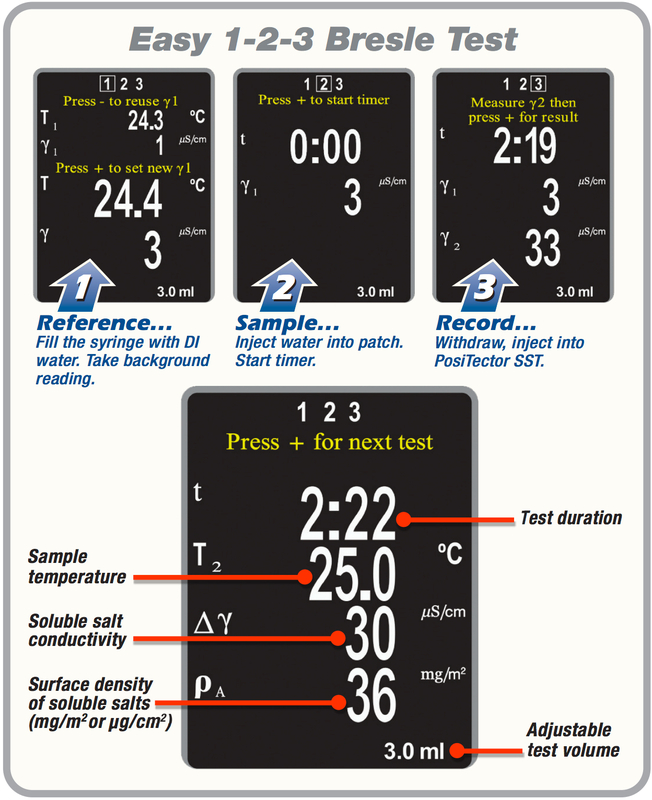 Two-point calibration adjustment: A two-point adjustment fixes the instrument's calibration curve at two known thicknesses. Coated reference samples or shims placed over the uncoated substrate or over an uncoated reference sample may be used. The two thicknesses selected must be on either side of the expected coating thickness. 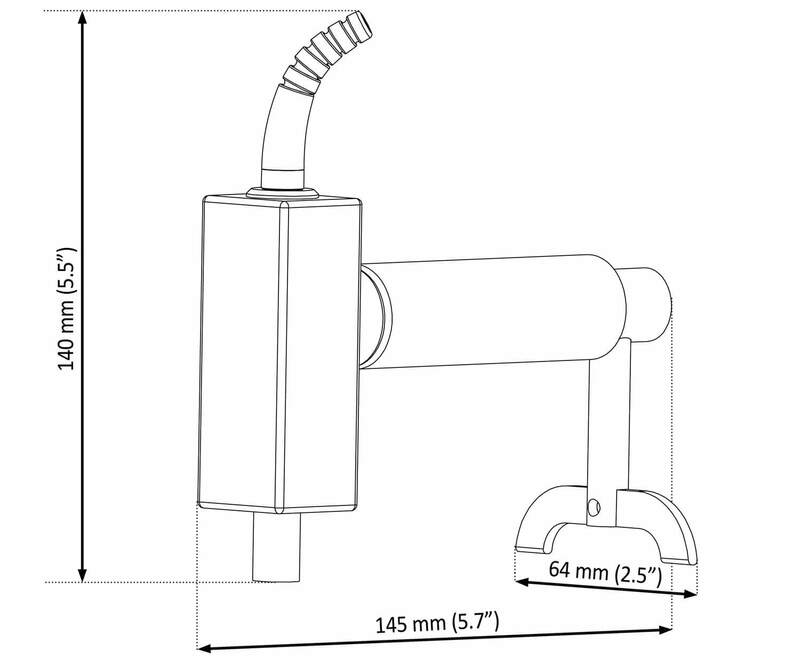 It is recommended that the gage be verified for accuracy during the measurement procedure and after the coating thickness measurements have been acquired. How accurate can SHIM measurements be? with some materials, shapes and shim thicknesses it is possible that the shim will not lie flat to the surface. Why can’t I use SHIMS with pull-off magnetic gages? Shims, which are permissible for adjusting electronic gages with constant pressure probes should not be used for adjusting mechanical pull-off gages including the PosiTest FM and PosiPen. Shims can act as a leaf spring and cause the probe of a magnetic pull-off gage to be "pushed" off the surface prematurely, resulting in an erroneous reading. Yes, but the cost effective alternative is to trade them in on the purchase of new ones when they become visibly scratched or worn. Trade-in reduces the price of new Certified Plastic Shims by 20%. Additionally, one or more shims can be purchased separately to complete a set. Do standards require periodic maintenance? Coated metal standards require little maintenance. If plates become dirty, the epoxy surface can be gently cleaned with a cotton swab dipped in isopropyl alcohol. Do not clean the exposed metal surfaces with alcohol as this will remove any protective films. To prevent rusting, the steel standards come complete with corrosion inhibitor paper and may require periodic application of a light machine oil or 3-in-1 oil to the exposed metal surfaces. Do not apply oil to the epoxy or labeled surfaces. The aluminum plates should not require any maintenance to the exposed metal surfaces. 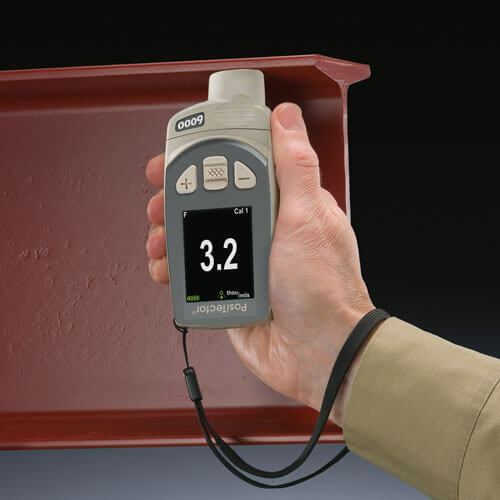 When not in use, all coating thickness Standards should be stored in a cool, dry place. Exposure of the epoxy covered steel to magnetic fields may cause the plates to become slightly magnetic. 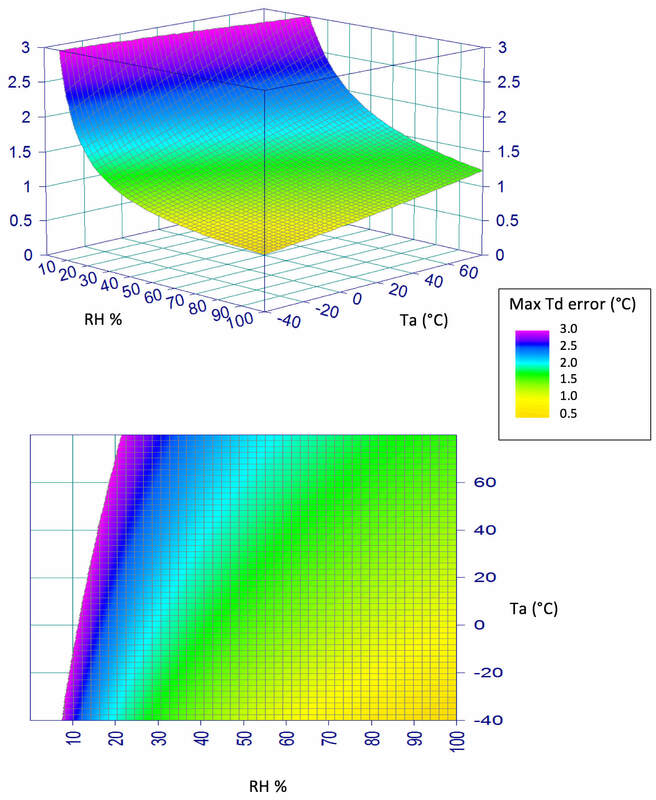 Magnetism in steel plates can affect readings taken with gages using magnetic principles. Do not store epoxy coated steel plates near magnetic sources. 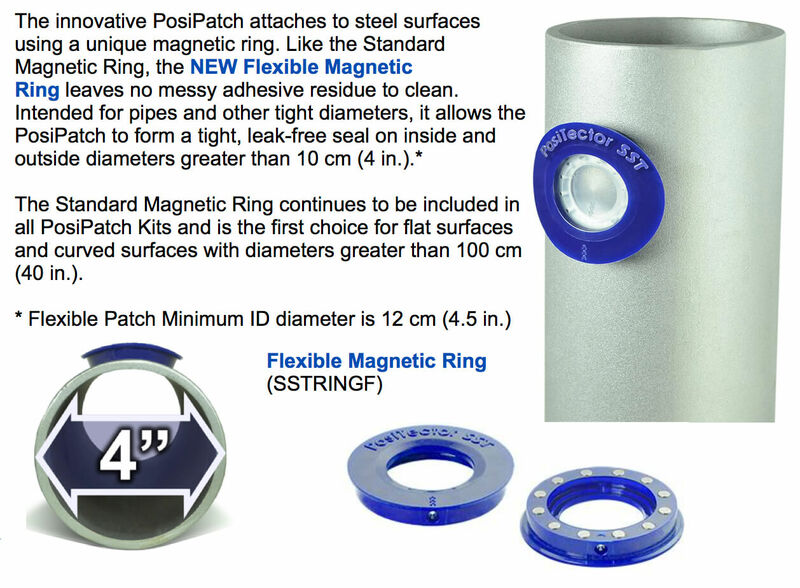 If your plates get exposed to a magnetic source they can be restored by using a degausser. Why do polystyrene blocks have velocity measurements on their labels? The polystyrene thickness standards are recommended for use with several models of ultrasonic gages. Ultrasonic gages emit a high frequency pulse of sound that travels through the material and reflects back when it encounters a different density material. The thickness of the material is calculated based on the time for the reflection (or echo) to be received and the speed of the sound in the material. 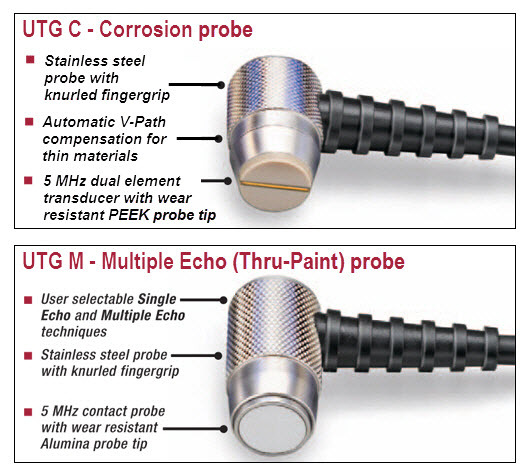 Most ultrasonic gages are preset with a ultrasonic velocity that is representative of most coatings. Improved accuracy can be achieved by adjusting the gage's ultrasonic velocity to exactly match the material being measured. 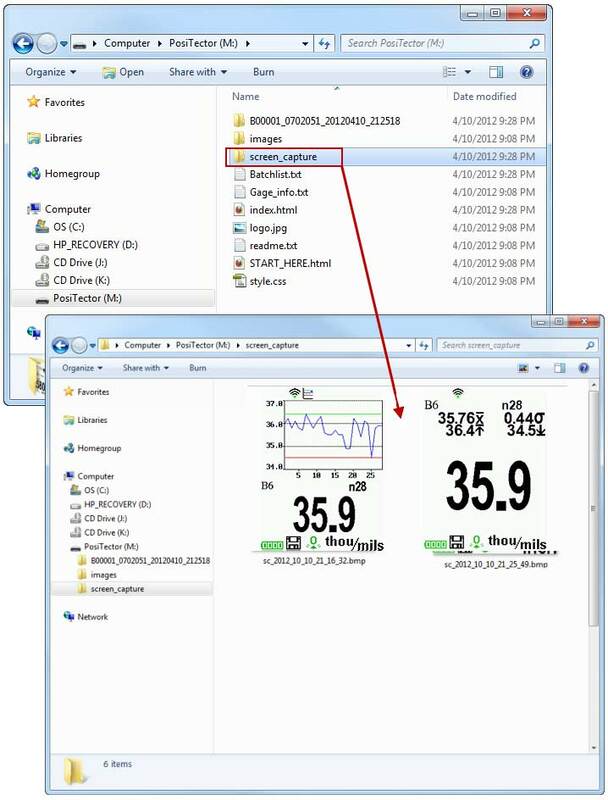 Some gage models allow you to directly input the material's velocity if it is known. Other models calculate the material's ultrasonic velocity by measuring a known thickness of a representative material. 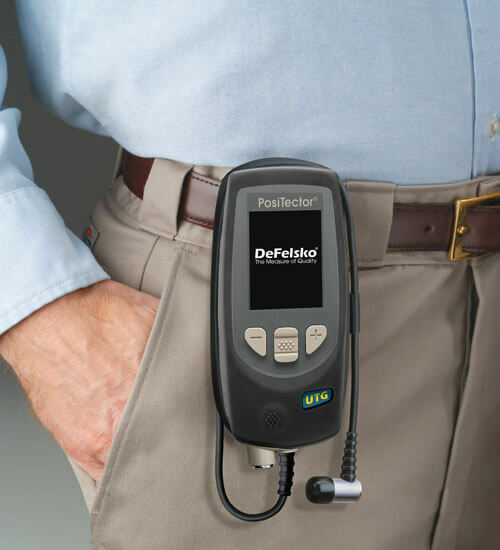 DeFelsko provides the ultrasonic velocity to allow the calibration standards to be used with either method. 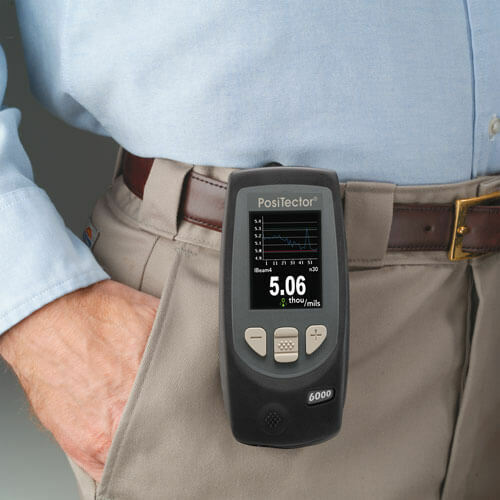 My calibration certificate indicates measurements are traceable to PTB, what is PTB? Each national body has an organization(s) responsible for coordinating the national measurement system that provides traceability of measurement results to reference standards that are internationally recognized. The body in the US responsible for this is National Institute of Standards and Technology (NIST). If equipment is calibrated in another country the calibration of that equipment will reference the respective nation's responsible organization. Physikalisch-Technische Bundesanstalt (PTB) is Germany's equivalent of NIST.